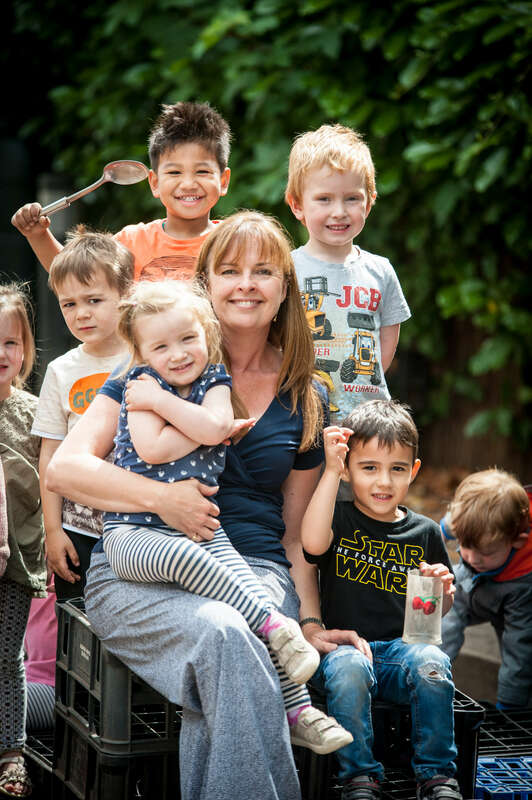 Sarah Steel founded The Old Station Nursery back in 2002, and, like many other nursery founders, opened the doors to her first setting after struggling to find high-quality childcare in her area. Now with an impressive 8 settings under her belt, she talks to First Discoverers about what makes a great early years practitioner, the funding struggles the sector is facing and why you should always make time to read the Gruffalo! Thank you for agreeing to chat with First Discoverers. First off, can you explain what initially drew you to working in the early years sector? I started our first nursery when my children were aged 1 and 3 and I couldn’t find a nursery that I liked for them, like so many other people! 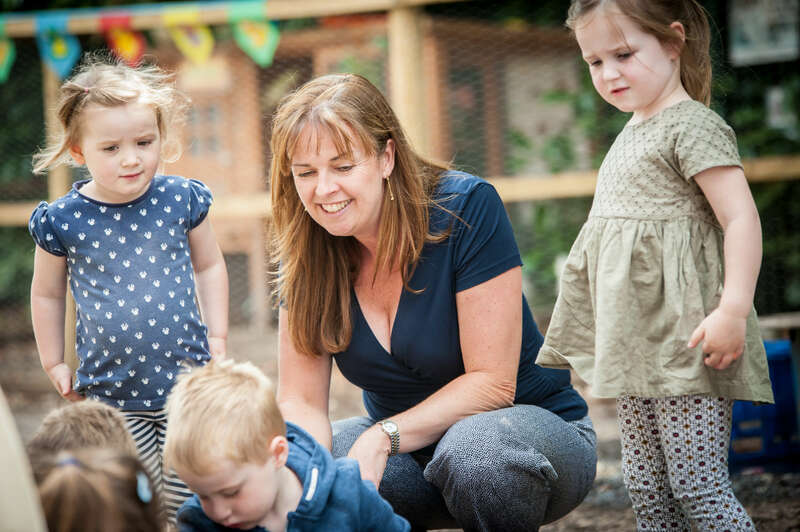 The Old Station Nursery now have 8 award winning nurseries, but what would you say makes a successful childcare setting? Each one of our nurseries is slightly different, although we have a similar feel. I think it’s really important to have really high-quality interactions between staff and children, and also to take an interest in the whole family. Nursery is such a huge part of many of our families’ lives and the more we share with them, the better the experience for the child. What do parents value most about your setting? Do you feel this tallies with what Ofsted and the DfE ask for from you? Parents always comment on the staff. For them, it is important that the nursery is clean, safe and well-resourced, but the bit that they really care about is the relationship between members of the team and their children and them. This isn’t always in line with regulatory pressures, but at the end of the day, good staff will result in happy parents and children, and good learning only takes place when children are happy and feel that they belong. OFSTED judge us on the quality of teaching and learning, so it is all inter-connected. How important is having access to adequate facilities and equipment to a setting? A setting needs to be in good repair and have good resources, in order to give children an enabling environment. However, the greatest resource is an attentive adult, so you can have a relatively simple environment with great practitioners, and children will thrive. Having just taken over a provision which was piled high with ‘stuff’, it has been a good reminder that less is more! What kind of support do you get for early intervention, where children have SEND? Has access to additional support improved or got worse over the last 5 or so years? Support is very patchy and varies from local authority area to area. Generally, we need to do lots of work with families and children before we are able to access any funding for 1:1 support. There are some great support professionals out there, such as speech and language therapists, but they are generally over-committed and short of time. I would say it has been challenging over the last 5 years and continues to get harder. What skills would you say are absolutely vital for a childcare professional? Early years practitioners need to love children! That may sound obvious, but it is always surprising that some practitioners don’t seem to enjoy children’s company. The ability to listen and give children your full attention to a child is really important; you can always tell which staff are most popular with children, and they are the ones who really listen. Practitioners also need to be confident talking to parents, and this is a skill that can take time to develop. Parents want to relate closely to nursery staff and the better communications channels are, the happier they will feel. What is your approach to recruitment/retention and what do you see as best practice in this area, including in terms of helping to build a diverse workforce? In some locations, we still find recruitment fine, but in others, it is very hard. We try and offer a good package and most of all make sure staff really feel valued. It can be a long and challenging day working in a nursery, and staff need to know that they are appreciated. We invest in our team with lots of training and opportunities to ‘job swap’ and visit other nurseries. I still think we have a long way to go on diversity, in particular, the number of men we employ, but we’re working on that! In your view, what should children ‘learn’, or ‘gain’ from their time in early years care? Children are little sponges and learn all the time. They learn a huge amount from nursery practitioners and from each other whilst they are in nursery, and as research has shown, they learn most of all in their home environment. I was interested to see that the recent SEED study showed that children improved their pro-social skills at nursery; being part of a group and learning to take turns and listen are great skills to get ready for life in general, and school in particular. 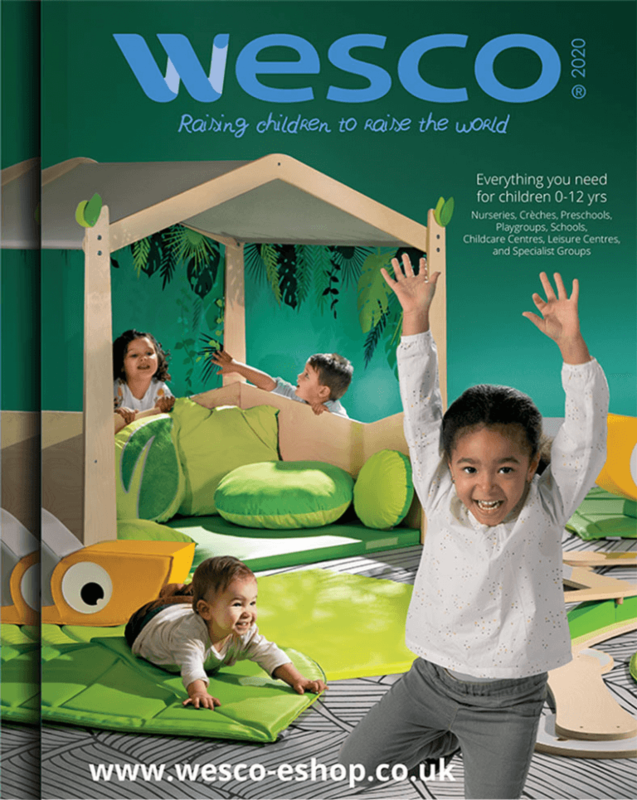 What would you say are currently the biggest problems that childcare settings face? It will come as no surprise that I will say government funding, as this is a real threat to providers. Quality has a cost, and it is simply not acceptable to offer ‘free’ childcare and then let providers take the brunt of parental disappointment when parents discover it is not really free. Providers need to take a firm line with parents and their local authority, but this is harder for small settings to do than it is for large groups. Are you planning to offer the 30 hours entitlement from September? If not, why not? Yes, we are. Our ‘additional services charge’ will fill the gap between what the local authority pays us (a pitiful £3.90 in Gloucestershire and £4.01 in Oxfordshire). Parents have been happy with this so far; once we explain the situation they can see the issues facing us and are also delighted with the overall reduction in their invoice. How are you going about making your setting financially sustainable, in the face of inadequate funding for the EYE offer? 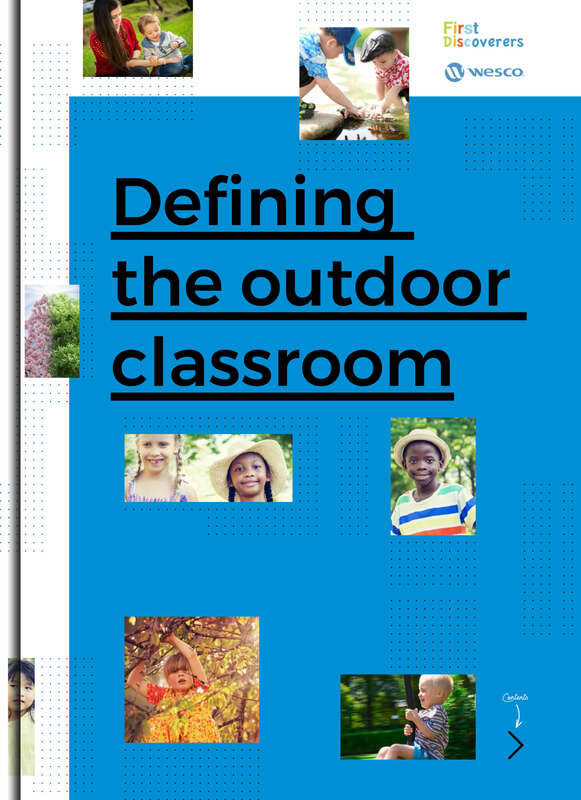 We’ve been talking a lot recently about the benefits of outdoor play, how do you incorporate this into your setting/s? We make sure all our children get outside as much as possible every day and have free-flow wherever possible. Even where we don’t have large outdoor spaces we go to parks and on walks. We have Forest School provision in several of our settings and really see the benefit of this to children. If you could make two changes within the early years sector, what would you like to see? I would reduce the number of funded hours offered to families, so that it was properly funded and index-linked, with annual increases. I would rather see 15 hours for all 3 year olds, than seeing the funding spread too thinly across too many hours. I would also like to see one representative trade organisation formed, bringing together the skills of all our sector organisations, so that we have a united voice. What would be your advice to anyone considering a career in childcare? I think that early years is a great career now. There are so many opportunities for anyone who wants to progress, with lots of training available. I think that a degree in Early Years is a really good stepping stone for anyone, so I am constantly encouraging people to think about this. I know student debt worries some people, but I think a degree opens doors to many opportunities. What makes you passionate about the job? I love knowing that we make a difference, every day. I feel very proud of what my team achieve every day and often at the big events that we hold, like ‘graduation’ parties or Christmas parties I will look around and think, ‘Wow, we do a great job!’. It’s important to tell the team that too. And finally, If you could choose just one, what would you say has been your best ‘ I love my job’ moment? I’m often in our nurseries for meetings and to discuss aspects of the business, but I love it when I am in the rooms and a child says, ‘Can I have story?’ or ‘Come and play?’. I often have to remind myself that the spreadsheets and the budgets will wait, and I should always say ‘yes’ to The Gruffalo! Want to learn more about The Old Station Nursery? Check out the video below! 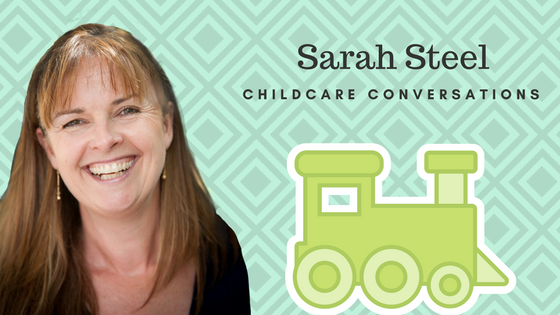 Sarah founded The Old Station Nursery Ltd in 2002, after a search for high quality local childcare left her thinking that there was a gap in the market. Since then the company has gone from strength to strength and now operates 5 day nurseries and 2 separate out of school clubs. She is a regular member of DfE working groups, a policy board member of the National Day Nurseries Association and writes and speaks regularly about Early Years issues. She also has several consultancy projects in the UK and overseas, most recently in China. Our Childcare Conversations series aims to showcase a cross section of leading voices from the world of childcare talking about their roles, offering advice, comment and views on topical issues. This time around we’ve decided to shine the spotlight on settings and have chatted to several nursery managers from around the UK, all of which were recently voted in the top 10 most influential people in childcare at the Nursery Manager Today (NMT) awards.